Hawaii GE & TA Tax ID # G/T 006-824-3456-01 Taxes on total amount is 14.42%. Not included in the vrbo quote. Required is a signed rental agreement between guest and owner. This rental agreement is in addition to the deposit. After you initial and sign the agreement, it must be returned to me. For stays less than 6 nights there is a $300.00 Cleaning fee. 60 day cancellation.Charges pro rated after 60 days. This lovely, 1400 square foot condo is situated in a world-class resort area, overlooking the second green of the famous Wailea Blue Golf Course. The condo is fully-equipped with all of the imaginable amenities. Just relax in luxury! Marvelous beaches, shopping, and five-star restaurants are within walking distance. Keywords: Condominium, second floor, no elevator. We reside in Burbank, California. Although we try to spend as much time as we can in Maui. When we purchased our condo we thought it would be a wonderful vacation home for families. Including our own. We have three children and seven grandchildren, and I assure you that it is the favorite place to come, especially with small and growing children alike. We bought this property because of the great views and the wonderful feeling of tranquility that the views offer. Wailea is our favorite place on Maui.It has some of the finest beaches in Hawaii.We first visited Wailea in 1993 and fell in love with the location. It called to us and we decided at that time to look for our own little piece of paradise. Now we look forward to sharing it with you. Within 1/2 mile of the ocean and some of the best snorkeling beaches in Maui. 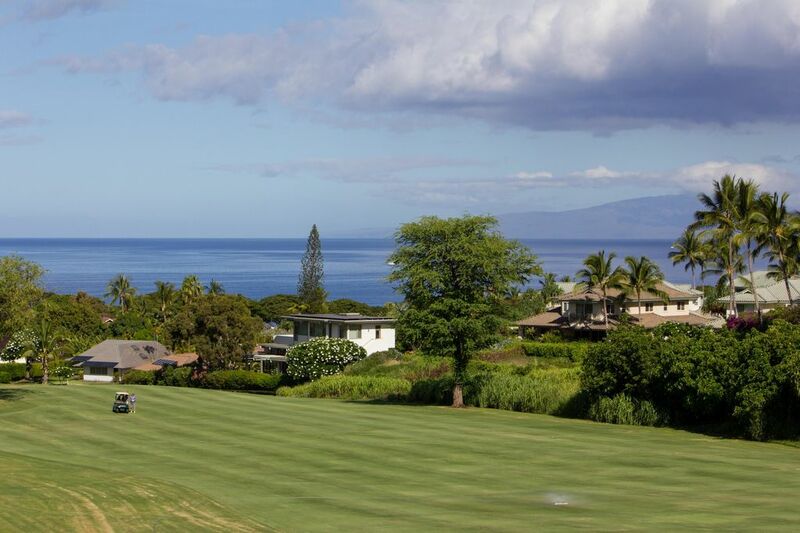 Located on 2nd fairway of Wailea Blue golf course. We try to keep the pantry stocked with all condiments. Any left over alcoholic beverages are in the entertainment center You are welcome to use whatever is the condo. There are three dining areas. Two inside the condo 6 seats at table and 4 at counter.The second dining area is on the lanai off of the living area. This will also accommodate 6-8 people. Less than 1/2 mile from the Wailea Blue Course. Condo is located on the 2nd hole. The Condo is in a perfect location. Wailea/Kihei are beautiful. So many places to eat (kihei cafe/Monkeypod/Maui brewing Comany). I loved waking up and having my morning coffee out on the balcony while watching the people play golf. The Condo itself was perfect. 3 Bedrooms all the amenities. Beach chairs (Tommy bahamas), boogie boards and beach bags. The hosts have great communication. They went above and beyond to make our stay as perfect as it can be. I would stay here again in a heartbeat. Already looking for flights for my next visit to Maui. We can't wait for you to come back!